When people think of this city a number of images spring to mind: carnival floats; colorful beads and masks; alligators; gumbo; po-boys, jambalaya; brass bands; frozen daiquiris; and, of course, cafe au lait and beignets smothered in an avalanche of fine, powdered sugar. As a symbol of our city and its cuisine, I’m all for the beignet being an icon. But as I said, it’s not actually our very best doughnut. While I love a beignet (or many…one needs at least three at a time, preferably six), its glory in the fried dough world is bested, ultimately, by another hometown concoction. I feel like I’m letting the cat out of the bag or betraying a deeply held, secret trust by proclaiming the superiority of the buttermilk drop over the beignet, something that locals — especially those of us who grew up here — know as fact but are reluctant to share with visitors. It’s as though, if we tell people how perfectly wonderful these fluffy, sugary spheres of happiness are, they’ll be a doomsday-style rush on the things, decimating the world buttermilk drop population, leaving none for the rest of us. It’s silly, I know…but people feel deeply about these doughnuts, and so do I.
Technically speaking, a buttermilk drop isn’t actually a doughnut at all. 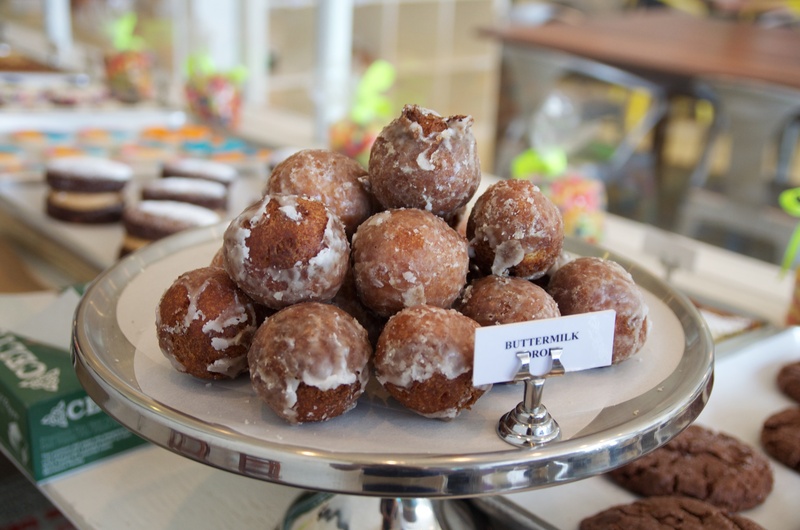 It’s more of a “doughnut hole,” a moniker that affords not a little philosophical discussion. “How does one eat something that is defined by its nothingness?” sounds like a bona fide Zen koan. Definition aside, we know this about the buttermilk drop: It was invented in New Orleans at some point in the mid 20th century by the now (very sadly) defunct McKenzie’s Bakery. But despite McKenzie’s “ain’t dere no more” status, the recipe for those beautiful drops of heaven survived, and one can find them still today at Tastee McKenzie’s, and of course at the eponymous Buttermilk Drop Cafe, among other places. And thank goodness for that. Forget what Socrates said about the “unexamined life.” A life without buttermilk drops, on the other hand…is that really a life worth living? But enough discussion for now. I’m hungry for buttermilk drops. Also, I think I hear the clanking of pitchforks.